3 1/4 inch mini round matte CD DVD Laser / Inkjet Labels. 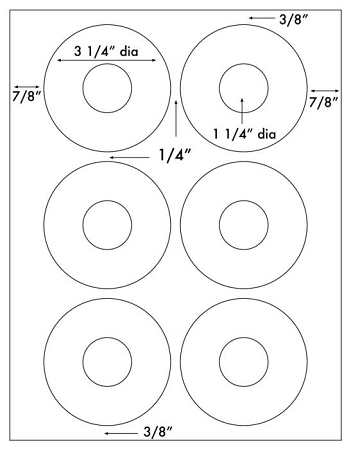 Matte - 3 1/4" round with 1 1/4" center hole. These DVD CD labels work well with either laser or inkjet printers. Six labels per 8 1/2" x 11" sheet.